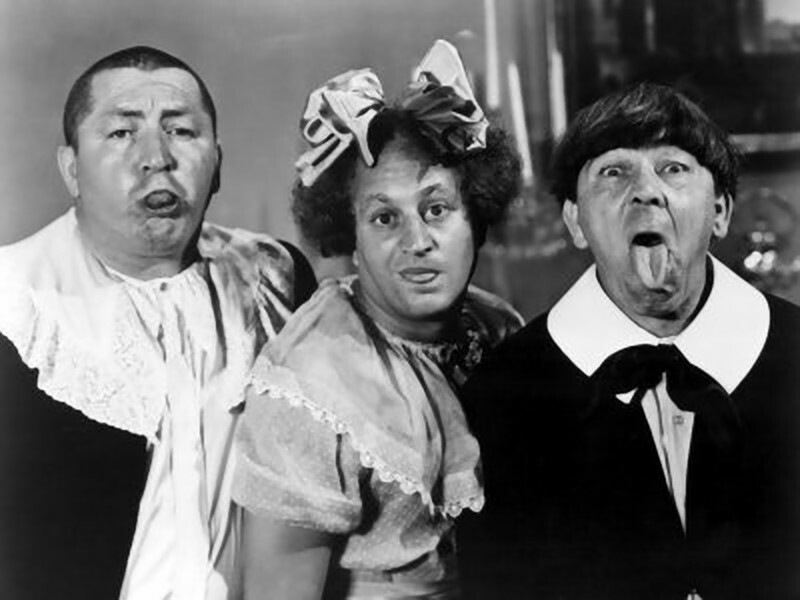 Who doesn’t love a good laugh from “The 3 Stooges”. Well it seems that Norwegian Eurovision Stars are bringing their comedy concert to the masses with great success. For over a month now, Eurovision winners Alexander Rybak, Elisabeth Andreasson (aka Bettan) and the handsome and cheeky devil Didrik Solli-Tangen, have been jointly touring Scandinavia bringing their mix of Eurovision and Current music to sold out festivals/concerts. Not content to just sing, they have put on a comedy show – and even though I don’t speak Norwegian – besides “La Det Swinge” – you can see that these 3 Eurovision Singers are putting on one entertaining show. There is something strangely exciting about seeing Alexander Rybak and Didrik Solli-Tangen holding hands, serenading and crying over each other – while Bettan looks on like the Gooseberry in the room. Now I have never heard “La Det Swinge” sung in a rock version to the point where I did not recognize the song while seeing Elisabeth Andreasson bent backwards – looking like she is in the World Limbo Dancing Championships- and Alexander Rybak thrusting over her – this is the stuff nightmares are made of. However from through my fingers I peeked through and survived. It is though comforting to see that thousands of people are coming out to see these 3 Norwegian Eurovision SIngers – There should be more of this across Europe. So the 3 Norwegian Stooges maybe coming to a town near you. Just watch out for the Limbo Dancing! I actually saw the show- THREE TIMES, and its Utterly Brilliant!, even to me who only understands Norwegian “en Litt” , They should embark on a European Tour. The videos have English subtitles. Watch them on Youtube and you will get the option for translation.